Bangkok is well-known amongst LGBT party-goers for its Silom nightlife scene, regular G spot parties and annual mega-bashes such as G Circuit. 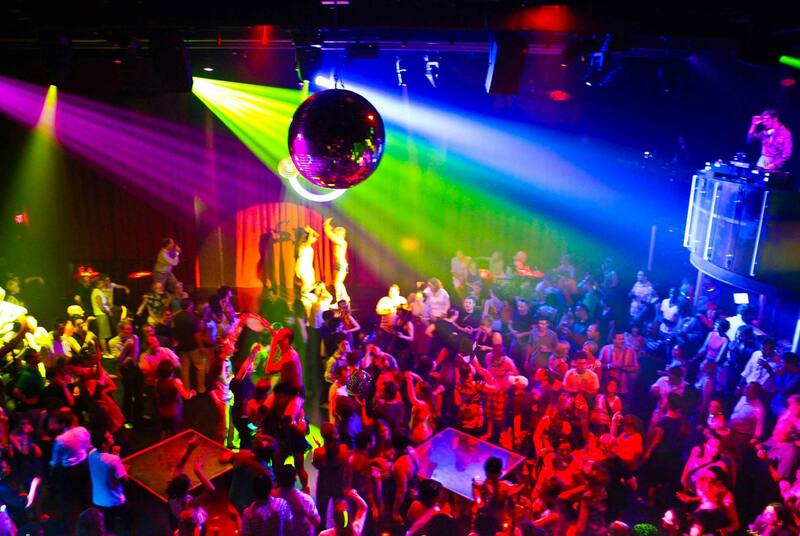 Few however are aware of the many gay clubbing options hidden away in the ‘burbs. I set out one Friday night on a mission to explore these lesser known clubs. Occupying a huge arena, this new venue has to be the largest gay club in Thailand, dwarfing the popular Silom mainstays, DJ station and GOD. When I arrived at 10pm there was already a steady stream of hot young men heading for the entrance of what appeared to be a classy looking venue. After passing a security check for ID (they didn’t check me, guess I don’t look 18 anymore), I entered a glitzy foyer, perfect for selfies. I squeezed past several handsome young guys and was greeted by thumping pop music and lasers. Things looked promising. The first thing I noticed was the size of the venue – it’s massive. My attention quickly turned to the stage where guys in underwear and fluorescent green faux fur stoles were pouring soda water over themselves. Could this be my new favorite Bangkok club? The layout of the club consists of small tables, each with a bottle of whiskey, with groups gathered round furiously drinking. Suddenly every head in the room turned as the stage filled with a new group of handsome, muscular models. I only stayed for a couple of drinks so I’m not sure if the shows get any more exciting. With no dance floor and extremely loud music, it’s difficult to meet anyone. However if you’re with a group and want a new experience, Fake Club is worth a look. A bottle of whiskey and mixers will cost you less than 1,000 baht (USD30). Next stop was Castro at the very popular clubbing area RCA (Royal City Avenue), located between Pechburi and Rama 9 roads. We arrived around 1130pm on a Saturday night, expecting to find a pumping venue. When we walked in the club was almost empty. We decided to check out some of the other bars in RCA for a while and returned after midnight only to find that the club was still quite empty. At least there were some hot models on stage. Drinks here were pricier than the other gay bars in Bangkok (200baht/USD6 for a beer) plus the music wasn’t really to my liking. A live band began to set up (performing sound checks over the club’s music) which sealed our decision to go. If you’re already exploring the bars and clubs of RCA, you might like to drop in to Castro however I wouldn’t make a special trip there. Further out of town, Wave Club at Ramkhamhaeng lies close to a large University and attracts a crowd of students. The club isn’t as large or glitzy as Fake Club but has a similar formula i.e. thumping loud music, some hot guys with their shirts off on stage and small groups voraciously devouring bottles of whiskey. Just after midnight Wave Club also has a small drag show which can be quite entertaining. Again it’s difficult to chat anyone up due to the music volume, however the show and eye candy perhaps make up for this. Wave Club is located further from Silom (about 30 minutes and 120 baht/USD4 in a taxi) but if you’re looking to experience something a little different, then why not try it out. Similar to Fake Club (although smaller, older and trashier), Sa Ke Club (Tanon Tanao off Rachadamnoen Road), located close to Khao San road has been popular for many years. You’re bound to find it full of students and army recruits, especially on the weekends. It’s loud, fun and energetic and best experienced after a few drinks. Things only start kicking off after 1130pm and you can expect a bizarrely entertaining show after midnight.